Do you suffer from terrible pain in the joints of your hands, feet, hips, back or shoulders? Arthritis is the #1 cause of disability worldwide. Whether you’ve recently been diagnosed or have been living with joint pain for decades–especially those with rheumatoid or osteoarthritis–the Arthritis Summit will help you regain hope that pain is not your destiny! 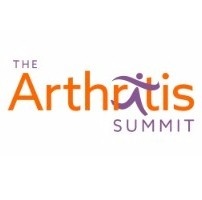 The Arthritis Summit helps you learn about nutritional advice and the role of the microbiome, the connection between stress and inflammation (and what to do about it! ), infections and toxins that might be triggering symptoms, how to avoid unnecessary medications (and regain hope! ), plus supplements and treatments that can truly be helpful. Learn from 30+ health experts as they teach you about expert protocols that could radically improve the life of someone with arthritis!